If you have not booked a hotel on Praslin for your vacation and you stay on La Digue or Mahé, be sure to plan a day-trip to Praslin. 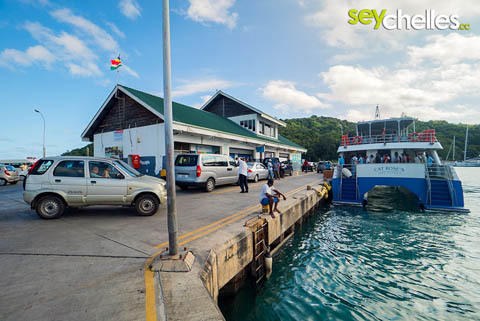 Take Cat Rose ferry from La Digue (about 20 min transfer) or Cat Cocos from Mahé (about 1 hr) in the morning and get back late afternoon with the last boat - be sure to check the latest schedule on their website because it´s not the same throughout the week. You don´t want to miss the last ferry, do you? On Praslin, you sure can take the bus or rent a car, but we prefer to go by taxi if our time is limited. Ask one of the taxi drivers at the jetty for a whole day trip and tell him what you would like to see. It´s very comfortable to hop on and off the taxi at different stops and the nice local drivers know their island well. And it´s a private tour. There are many taxi-drivers, especially when a ferry arrives. One we can recommend is Selbie. He doesn´t have internet, but you can reach him on his mobile +248 2586836. A second option is to book one of the local guides. They guide you around the island and give you some insights - and you might save money on the car rental or taxi. 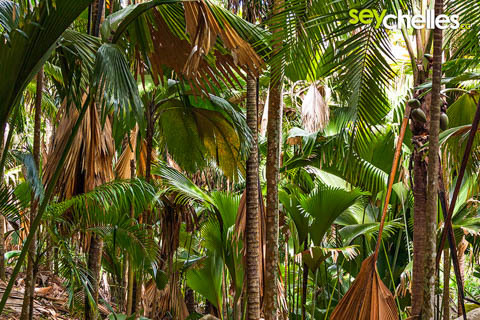 Another enjoyable possibility is to book a day-trip to Praslin from your hotel on Mahé or La Digue if you don´t want to organise everything on your own. Usually, those are group tours.